The study of graphs, mathematical structures used to model pairwise relations between objects from a certain collection. 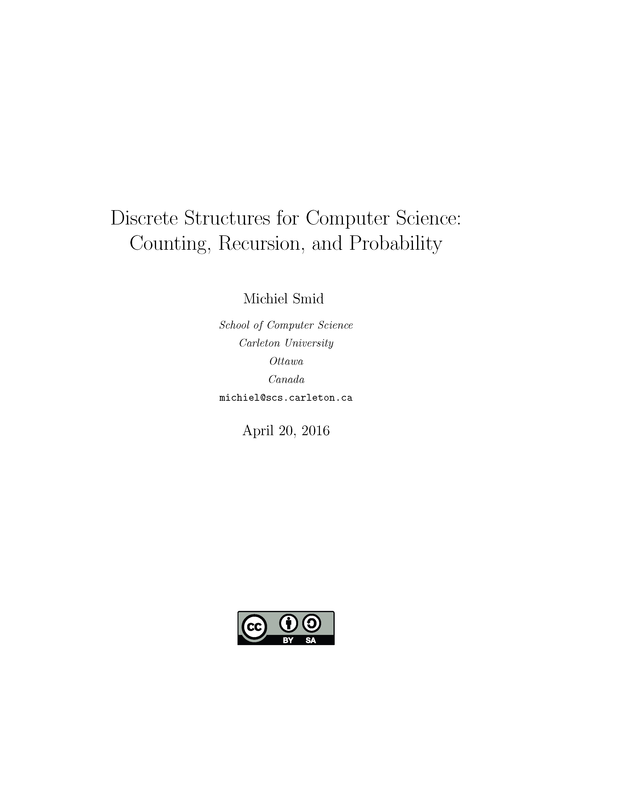 This is a free textbook for an undergraduate course on Discrete Structures for Computer Science students. It covers mathematical reasoning, basic proof techniques, sets, functions, relations, basic graph theory, asymptotic notation, and countability. 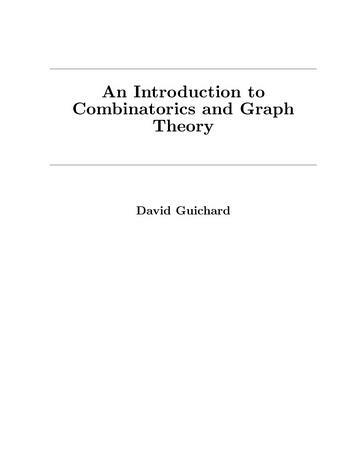 A textbook introduction to combinatorics and graph theory. 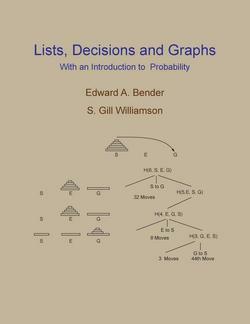 Presents a unified and comprehensive survey of directed graphs. 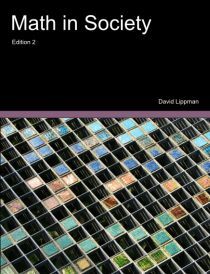 Covers theoretical and practical aspects, with algorithms, proofs, and applications of digraphs. Includes more than 700 exercises and 180 figures which further clarify topics. 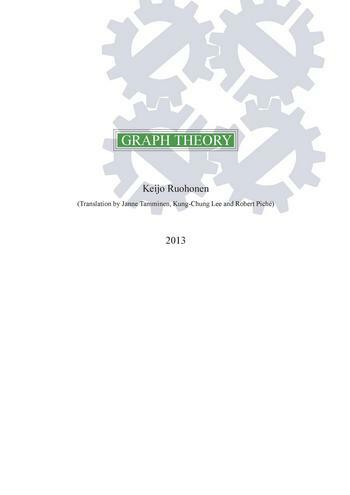 The entire 23 lessons of Graph Theory that utilizes a java software as an investigative tool. 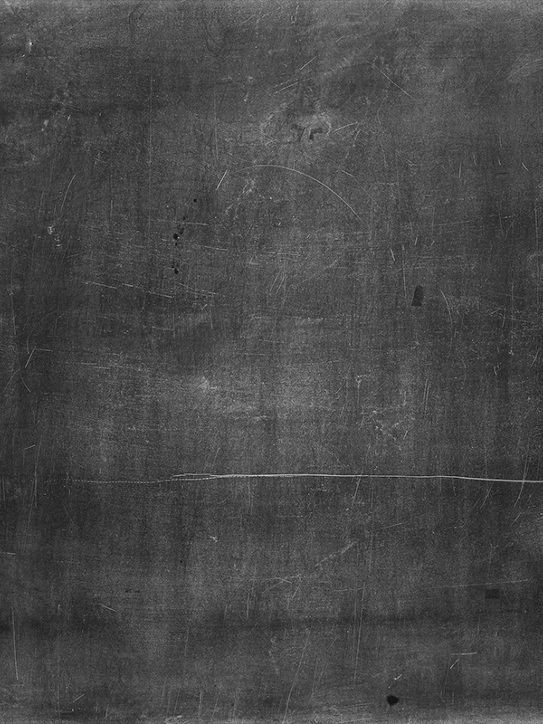 The software can draw, edit and manipulate simple graphs, examine properties of the graphs, and demonstrate them using computer animation. 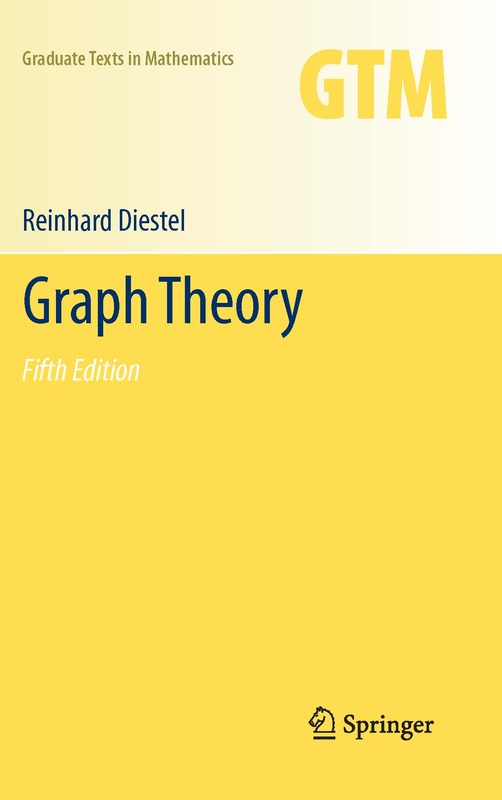 An introduction to graph theory. 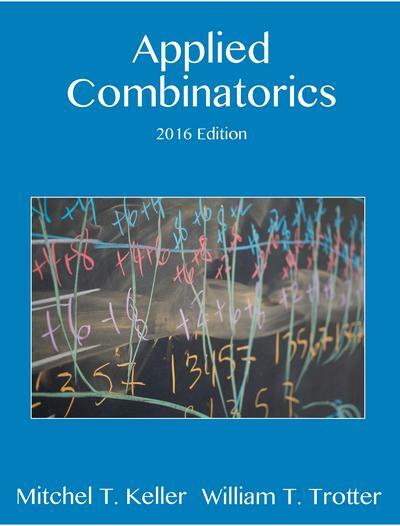 Presents the basic material, together with a wide variety of applications, both to other branches of mathematics and to real-world problems. Several good algorithms are included and their efficiencies are analysed. 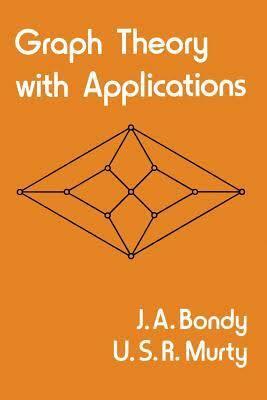 This book offers an introduction to the theory of graphs as part of (pure) mathematics; it contains neither explicit algorithms nor 'real world' applications. A standard textbook of modern graph theory, covering the core material of the subject with complete proofs. Can be used as a text for an introductory course, as a graduate text, and for self-study. 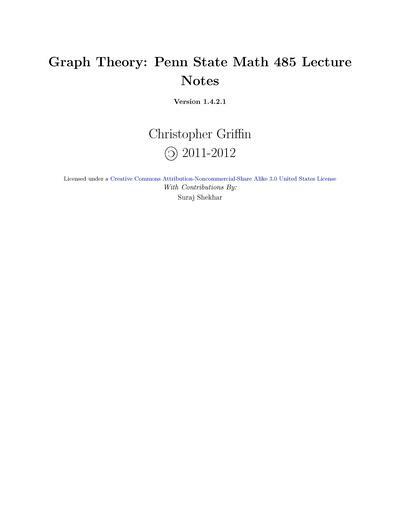 This is a set of lecture notes for Math 485–Penn State’s undergraduate Graph Theory course. Readers should have taken a course in combinatorial proof and ideally matrix algebra. Presents four basic areas of discrete mathematics: counting and listing, functions, decision trees and recursion, and basic concepts in graph theory. 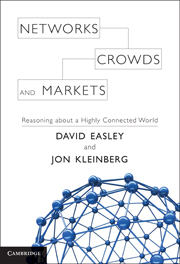 This introductory undergraduate textbook takes an interdisciplinary look at economics, sociology, computing and information science, and applied mathematics to understand networks and behavior.